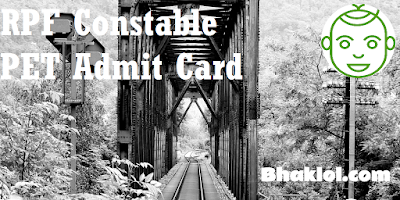 Railway Recruitment Board(RRB) has released RPF Constable PET, PMT & DV Admit Card 2018-2019 for many groups. 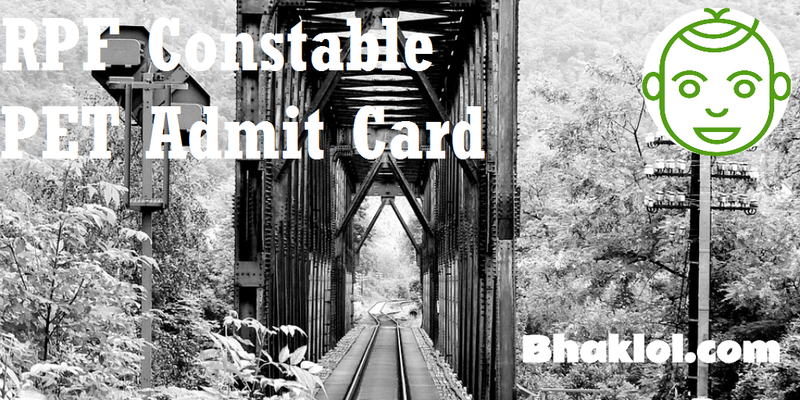 Registration Number and Date of Birth are required to download RPF Constable 2018-2019 PET, PMT & DV Admit Card. PET is scheduled to be conducted in the first week of April 2019. RPF Constable PET, PMT & DV is scheduled to be conducted in the first week of April 2019.